Cross the barriers and travel into the unknown trails with your DSLR to click pics! 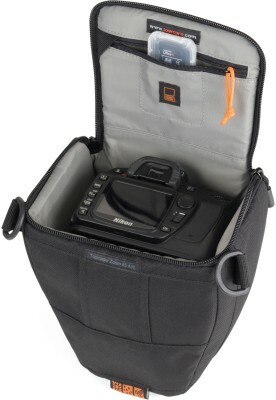 To keep your cam safe, buy Lowepro Toploading DSLR Bag At Rs 900 Toploader Zoom 45 AW from Flipkart. It is fully padded and it comes with customizable bag for various sizes of cams. The integrated belt loop allows you to lug it around. It is also accepted as an airline carry bag, so need to worry. How to buy Lowepro Toploading DSLR Bag at deal price of Rs 900? Select the DSLR bag and add it to shopping cart.